The energy-generating potential of solar panels – and a key limitation on their use – is a result of what they're made of. 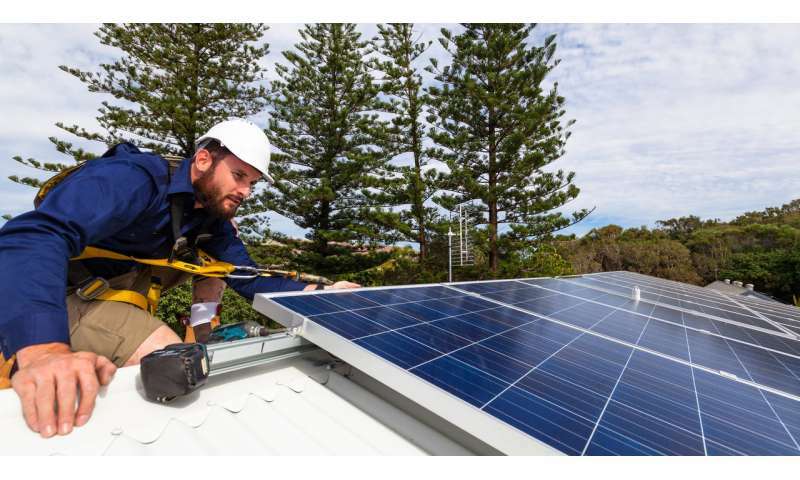 Panels made of silicon are declining in price such that in some locations they can provide electricity that costs about the same as power from fossil fuels like coal and natural gas. But silicon solar panels are also bulky, rigid and brittle, so they can't be used just anywhere. In many parts of the world that don't have regular electricity, solar panels could provide reading light after dark and energy to pump drinking water, help power small household or village-based businesses or even serve emergency shelters and refugee encampments. But the mechanical fragility, heaviness and transportation difficulties of silicon solar panels suggest that silicon may not be ideal. Building on others' work, my research group is working to develop flexible solar panels, which would be as efficient as a silicon panel, but would be thin, lightweight and bendable. This sort of device, which we call a "solar tarp," could be spread out to the size of a room and generate electricity from the sun, and it could be balled up to be the size of a grapefruit and stuffed in a backpack as many as 1,000 times without breaking. 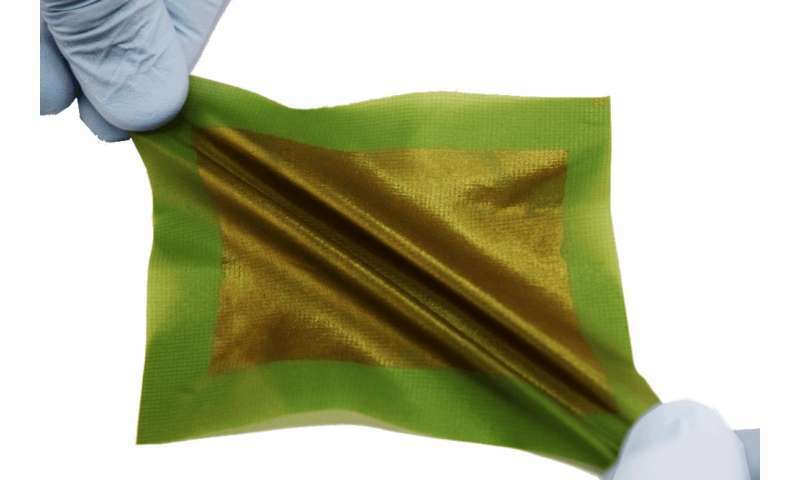 While there has been some effort to make organic solar cells more flexible simply by making them ultra-thin, real durability requires a molecular structure that makes the solar panels stretchable and tough. Silicon is derived from sand, which makes it cheap. And the way its atoms pack in a solid material makes it a good semiconductor, meaning its conductivity can be switched on and off using electric fields or light. Because it's cheap and useful, silicon is the basis for the microchips and circuit boards in computers, mobile phones and basically all other electronics, transmitting electrical signals from one component to another. Silicon is also the key to most solar panels, because it can convert the energy from light into positive and negative charges. These charges flow to the opposite sides of a solar cell and can be used like a battery. But its chemical properties also mean it can't be turned into flexible electronics. Silicon doesn't absorb light very efficiently. Photons might pass right through a silicon panel that's too thin, so they have to be fairly thick – around 100 micrometers, about the thickness of a dollar bill – so that none of the light goes to waste. But researchers have found other semiconductors that are much better at absorbing light. One group of materials, called "perovskites," can be used to make solar cells that are almost as efficient as silicon ones, but with light-absorbing layers that are one-thousandth the thickness needed with silicon. As a result, researchers are working on building perovskite solar cells that can power small unmanned aircraft and other devices where reducing weight is a key factor. The 2000 Nobel Prize in Chemistry was awarded to the researchers who first found they could make another type of ultra-thin semiconductor, called a semiconducting polymer. This type of material is called an "organic semiconductor" because it is based on carbon, and it is called a "polymer" because it consists of long chains of organic molecules. Organic semiconductors are already used commercially, including in the billion-dollar industry of organic light-emitting diode displays, better known as OLED TVs. Polymer semiconductors aren't as efficient at converting sunlight to electricity as perovskites or silicon, but they're much more flexible and potentially extraordinarily durable. Regular polymers – not the semiconducting ones – are found everywhere in daily life; they are the molecules that make up fabric, plastic and paint. Polymer semiconductors hold the potential to combine the electronic properties of materials like silicon with the physical properties of plastic. My group's work has been focused on identifying ways to create materials with both good semiconducting properties and the durability plastics are known for – whether flexible or not. This will be key to my idea of a solar tarp or blanket, but could also lead to roofing materials, outdoor floor tiles or perhaps even the surfaces of roads or parking lots.